It is an exciting time for the Early Childhood Development (ECD) sector with the approval of the National Integrated Policy for ECD, the registration of the Level 4 Occupational Certificate: ECD Practitioner and the launch of the very first South African Early Childhood Review. Members of the National ECD Community of Practice (CoP) spent the last meeting discussing the implications of the Integrated Policy and Occupational Certificate for practice. To guide the process, BRIDGE produced a helpful overview of the policy and Maswazi Tshabalala of the ETDP SETA addressed the CoP to answer a number of key questions regarding the Occupational Certificate: ECD Practitioner. The National Integrated Policy for ECD was approved by Cabinet in December 2015 and represents a commitment by the South African government to make quality ECD services universally available to young children. More specifically, the policy aims to enable the provision of access for all infants, young children and their caregivers to a comprehensive age and developmental stage appropriate package of quality essential ECD services by 2030. For ECD stakeholders, BRIDGE’s overview breaks down the policy and highlights its key points. This overview was used as a support piece for discussion at the ECD CoP meeting. 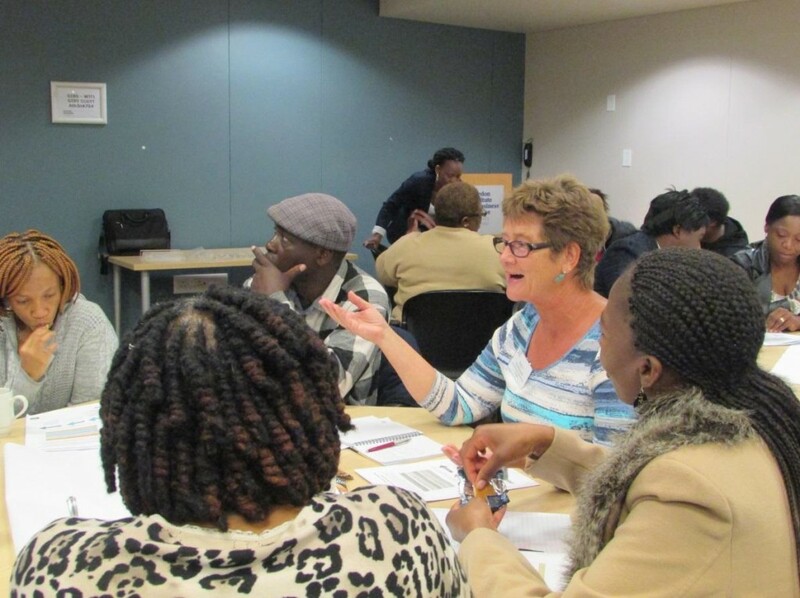 Members worked in groups to identify the opportunities and gaps to be addressed by the ECD CoP. The CoP will continue to engage with the policy as a collective in order to support government in the implementation of the policy. Another stirring development in the world of ECD is the Occupational Certificate: ECD Practitioner, to which BRIDGE’s ECD CoP has contributed in a number of ways. The group’s efforts include the creation of an online ECD Qualification Chat Platform, the design of a fact sheet on the QCTO process and the submission of a collective response on the qualification when it was released for public comment. In order to keep the sector up to date on the implementation plan of the qualification, Maswazi Tshabalala addressed the ECD CoP to provide clarity on the next steps in relation to the learning materials, accreditation, cost implications etc. Click here for the presentation. The first South African Early Childhood Review was one more piece of exciting news at this month’s ECD meeting. The review was launched on 12th May 2016 and presents information on essential components of the comprehensive package for ECD services. The review includes data and commentary on over 40 selected indicators on the status of children under six, and service delivery progress across 5 domains: maternal and child health, nutrition, support for primary caregivers, social services and grants and stimulation for early learning. The South African Early Childhood Review was produced through a collaboration between Ilifa Labantwana, The Children’s Institute at The University of Cape Town and the Department of Planning, Monitoring and Evaluation in The Presidency.